I like to keep our family’s food as clean & simple as possible. That means local food when available, organic when practical, and as few ingredients as possible. 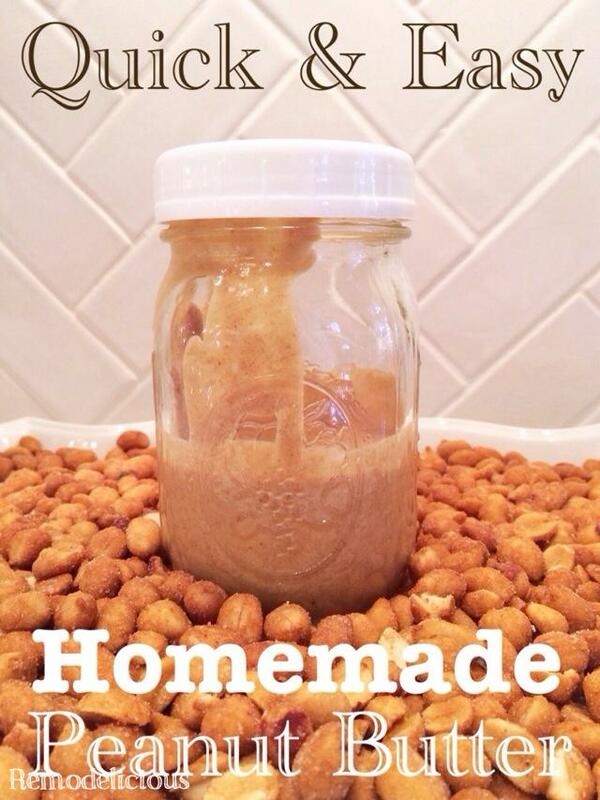 I was really excited when I found out that you can make DIY peanut butter with a single ingredient quickly as home. I used honey-roasted since that’s what we had available, but next time I’d like to try plain ole’ peanuts so they don’t have the added salt. 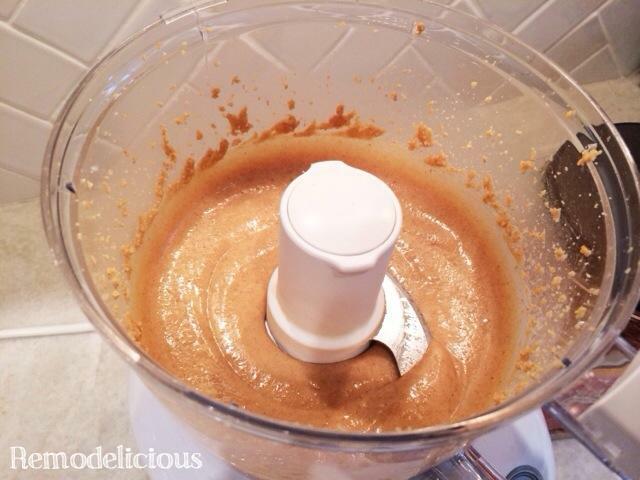 I’m looking forward to trying other flavors as well, maybe some cinnamon peanut butter or chocolate peanut butter. 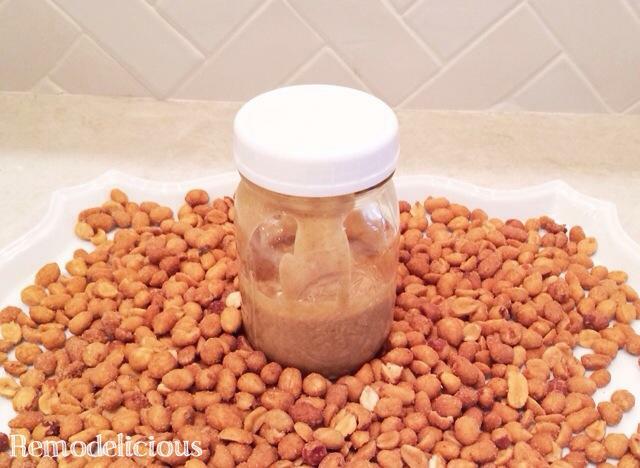 We could even make our own mixed peanut butter & jelly (would need to be kept in the refrigerator) without all of the GMOs, preservatives, and other junk that we just don’t need if we make home made and our food doesn’t have to travel hundreds or thousands of miles or sit on shelves for weeks or months. You’re really not going to believe how easy this is. 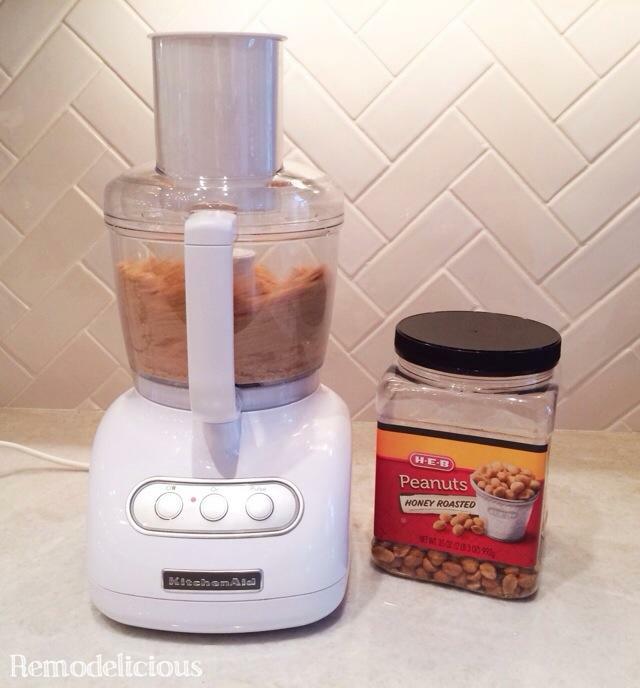 Put your peanuts in the food processor and watch it spin. After a few minutes it takes on an ice cream look. Keep going. Be sure to let the kid watch. They are sooooo much more likely to eat healthy foods when they can participate in growing or making it. 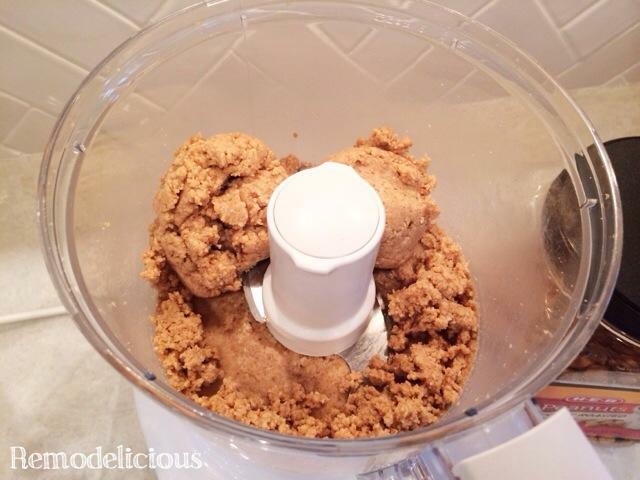 After a few more minutes it will become peanut butter! We stored ours in a glass mason jar (like these ones with optional washable plastic lids, the metal ones aren’t meant to be re-used) to keep icky plastic chemicals from leaching into the food. Plastics are petroleum based with all sorts of conditioners, we avoid them when possible and practical. Ta-da! 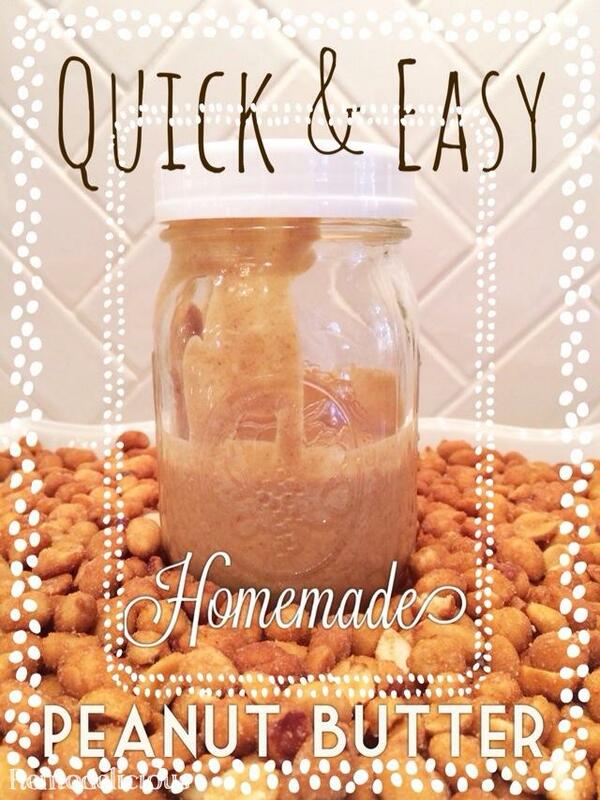 Yummy, homemade peanut butter in your choice of flavors. 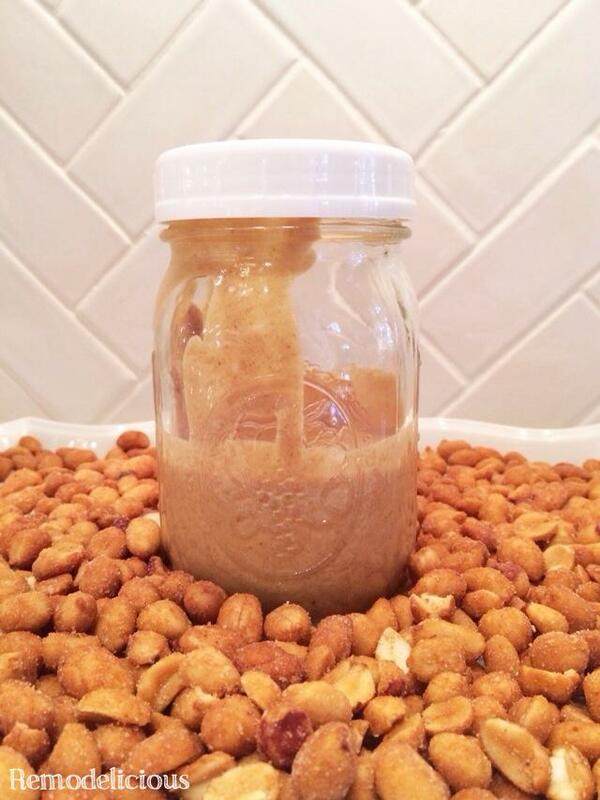 PS – Honey-roasted peanut butter has a great flavor if this is what you have on hand as well.